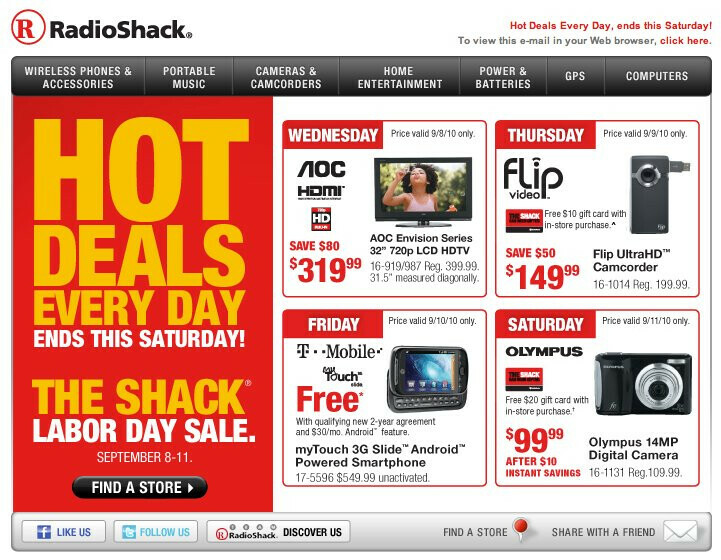 If you happen to wake up bright and early to start your day, your mind will probably be blown away knowing that RadioShack is throwing away the T-Mobile myTouch 3G Slide to customers for free. The retailer's deal places the handset for free with a customary 2-year new contract naturally, but it doesn't explicitly say whether or not existing customers with qualifying upgrades would be eligible for the free price tag as well. Now the best part about it is that you literally don't have to pay anything to leave the store with a smartphone in your hand – their pricing, much like other indirect retailers, are issued with instant rebates as opposed to mail-in ones. You'll have to act quickly because this promotion is only being made available today – September 10th. So don't wait around any longer because this deal won't last forever!